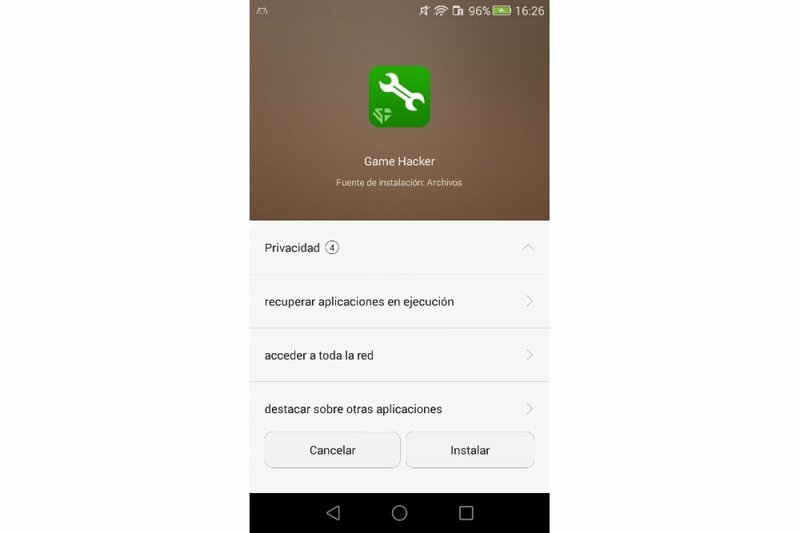 The first thing that we’ll have to do to install SB Game Hacker on our Android handset is download the APK necessary. We can find it on the review page of SB Game Hacker on our web, for instance, because it’s no longer available in the Play Store. The fact that we can’t find it in the official Android marketplace doesn’t mean we can’t install it, it just makes the process slightly more difficult but not impossible. Once we’ve downloaded the file, we’ll have to open it. If you can’t see it on the notifications bar of your Android device, you’ll have to access your file explorer to be able to search for it. All file explorers usually come along with a download section. Some explorers even incorporate a section with all the APK files that we’ve ever downloaded. If you can’t find any of these two menus, just open your Download folder and browse through the files manually. In general, if it’s the last thing we’ve downloaded, it will appear at the top of the list. However, we may have our files sorted in alphabetical order, in which case, we’ll have to scroll down to find it. Once we’ve located it, just open the file. By simply tapping on its icon, a window will open to guide us through the installation process. Just follow all the steps indicated. We won’t be asked to do anything special: just accept all the permissions and privileges required by the application to work correctly. As you can see, it doesn’t make any fraudulent use of the permissions granted so there’s really nothing to be worried about.